For anyone who’s been involved in the Sailor Moon fandom for an extended period of time, this is a story that’s probably familiar to you already. But occasionally, I like to take a look back at the evolution of the Sailor Moon fandom and see where we as Sailor Moon fans have come from and how the community has changed over the years. 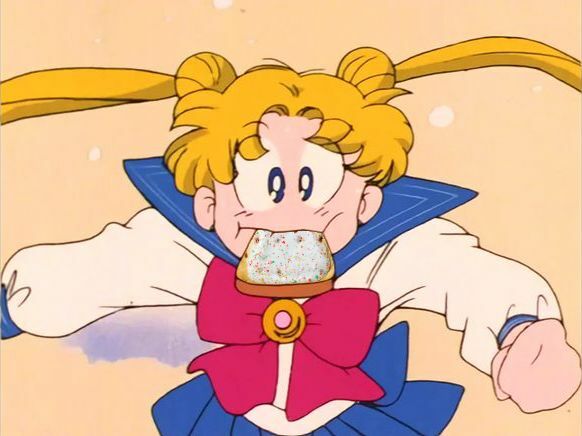 But let’s talk a bit about the bizarre connection between Sailor Moon and Pop-Tarts! Back in the late 1990s, there was a group/website known as Save Our Sailors (hereinafter, SOS)1 which was dedicated to campaigning to finish the Sailor Moon dub. The original dub done by DiC only went halfway through Sailor Moon R and ultimately left English-speaking fans with no way to see how things with the Black Moon Family turned out, shy of importing fan-subbed copies. For reasons which are unclear, the members of SOS had determined that the reason why Sailor Moon was dropped in North America was due to a lack of sponsors and, further, that Kellogg’s would be a great potential sponsor for the show. During the Summer (after we found out that the show was going to be dropped), we started to write down every commercial on the show. When we finished the list we took off those things which we all couldn’t buy. The products shown at the top are the ones our members got to vote for. These products had the most commercials. We thought whoever put on the most commercials deserved to be nominated! Only tangentially-related, but I’ll leave you with this video of Super Sailor Moon selling potato soup! ← Why Did Usagi Become Queen of Crystal Tokyo at 22?